Like lightning against a stormy sky, Black Ridge Quartz flashes with an intense play-of-color across a dark body. 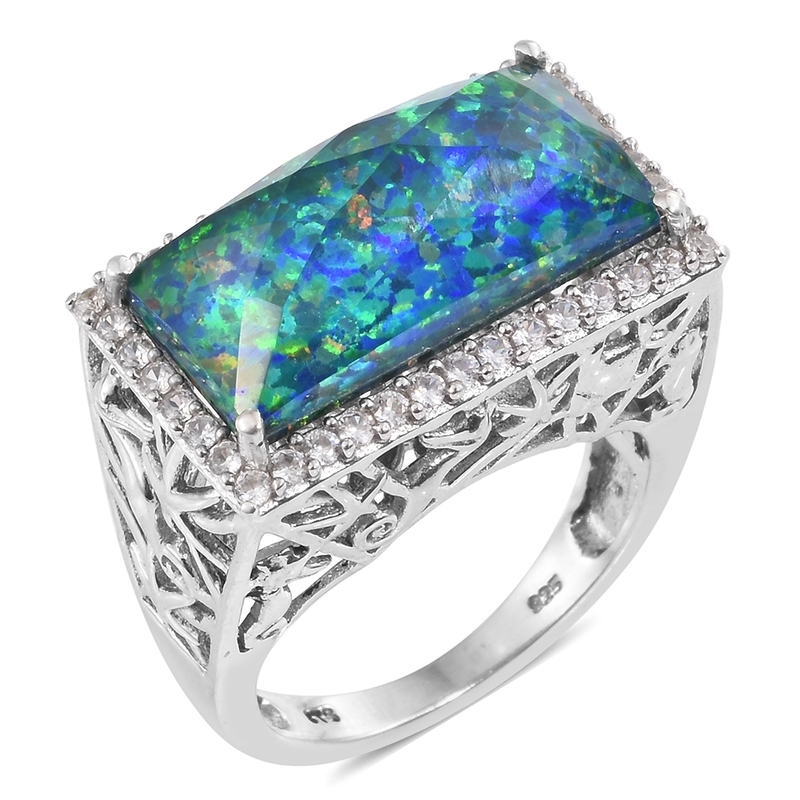 Black opal is among the most coveted opal gemstones in the world. Black Ridge Quartz provides an affordable alternative to this rare gemstone, capturing the timeless appeal of precious black opal. What Color is Black Ridge Quartz? Black Ridge Quartz is unique among assembled gemstones. 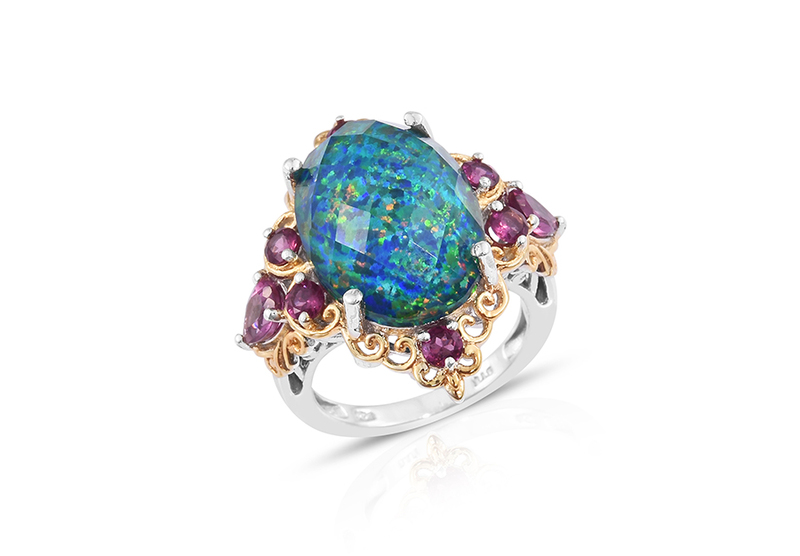 It’s the first doublet stone offered by Shop LC that evokes the look of precious black opal! 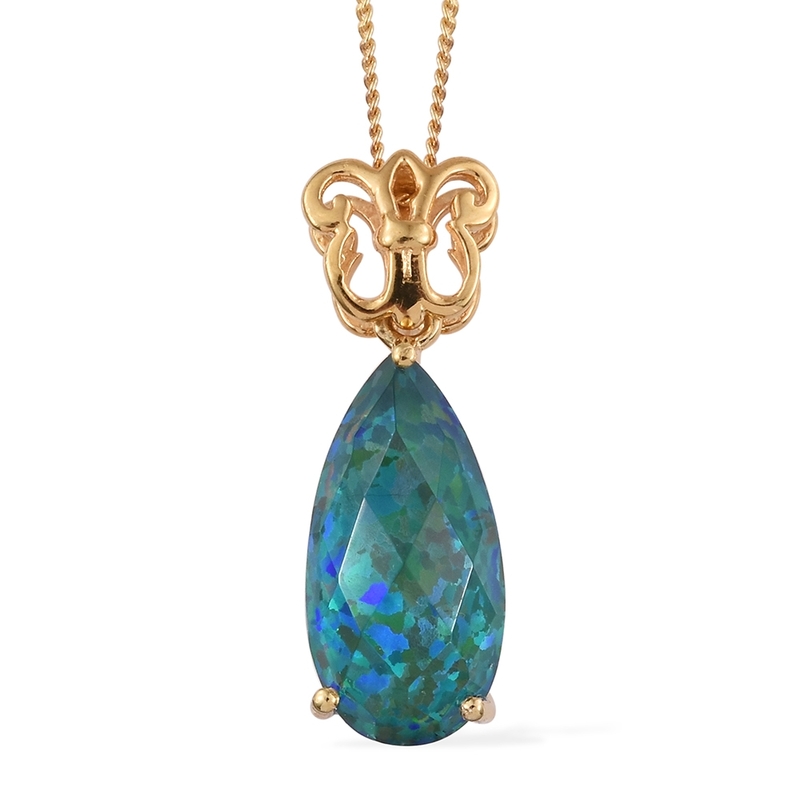 Displaying a deep black bodycolor this jewel sparkles with an intense kaleidoscope play-of-color typically found in only the most expensive and rarest opals. Unlike genuine opal gemstones, Black Ridge Quartz possesses an overall superior durability. Natural opals occur as the result of unique arrangements of silica, whereas Black Ridge Quartz combines the protective qualities of clear crystal quartz with a layer of synthetic opal. 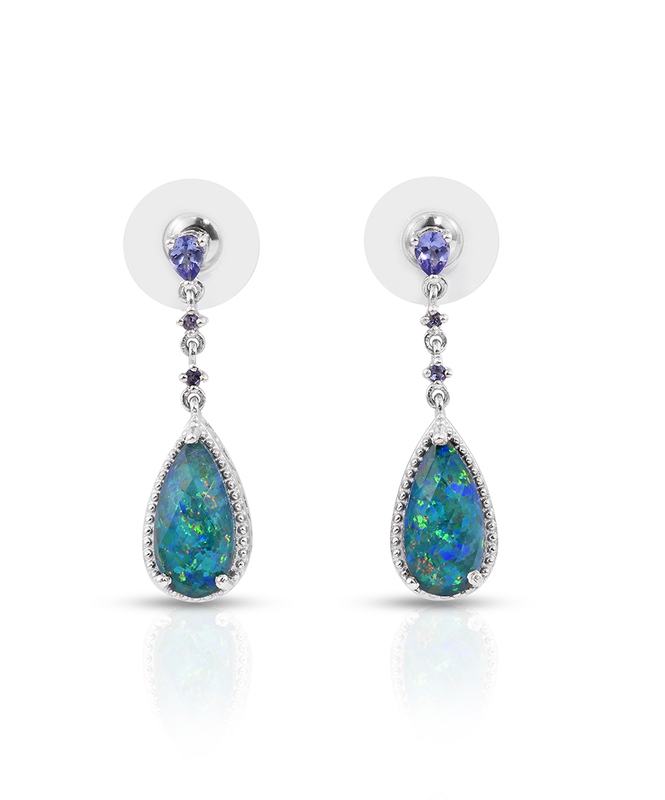 The synthetic layer of opal is fused with genuine quartz, creating a sturdy and reliable assembled gemstone. Black Ridge Quartz ranks seven on the Mohs scale of hardness, meaning it’s more resistant to scratching and abrasion that a genuine opal. Opals also tend to be less tough, meaning that they are more prone to breaks or chips. Thanks to the good toughness of the quartz layers, Black Ridge Quartz is much less likely to suffer this kind of damage. This means the assembled gem is reliable enough for daily wear, being resistant to scratches, chips, and other kinds of damage that typically befall many gems, especially opals. The eye-clean genuine quartz layers provide unparalleled clarity to this stone. Only the finest natural quartz from Minas Gerais is used for this purpose. 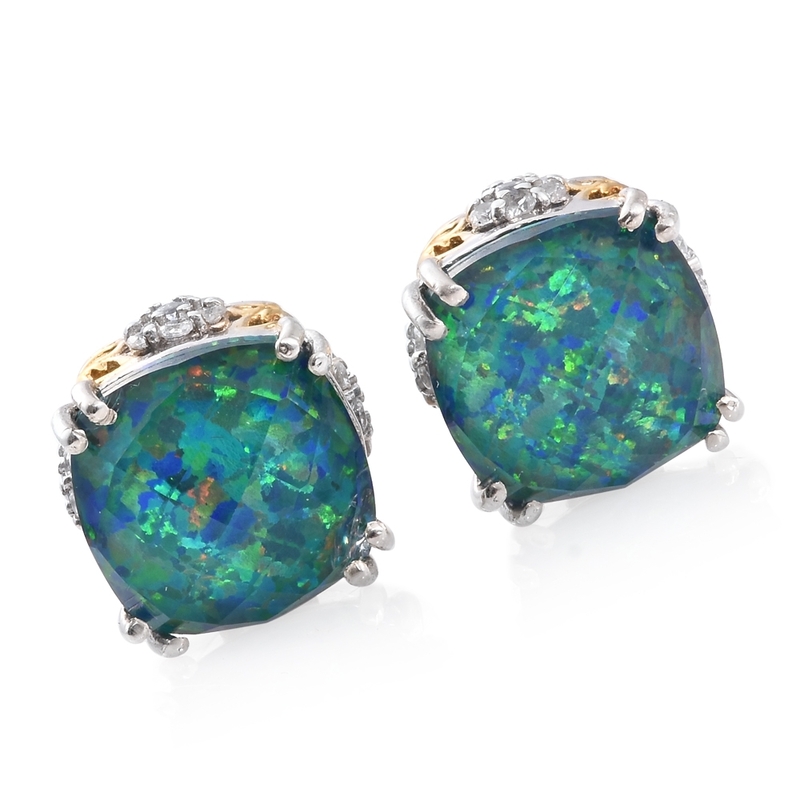 This ensures that the carefully cultured synthetic opal layer is the star of the show! Black opals, unfortunately, don’t often occur in larger sizes. And when they do, the rarity of these finds significantly drives up the price! Black Ridge Quartz is readily producible in larger sizes and unique shapes, thanks to being an assembled gemstone. Who Should Wear Black Ridge Quartz? Any love of unique gemstone phenomenon will adore Black Ridge Quartz jewelry. As one of only a few triplet gemstones to display unique visual characteristics, it offers a great opportunity to collect a gem not usually available. 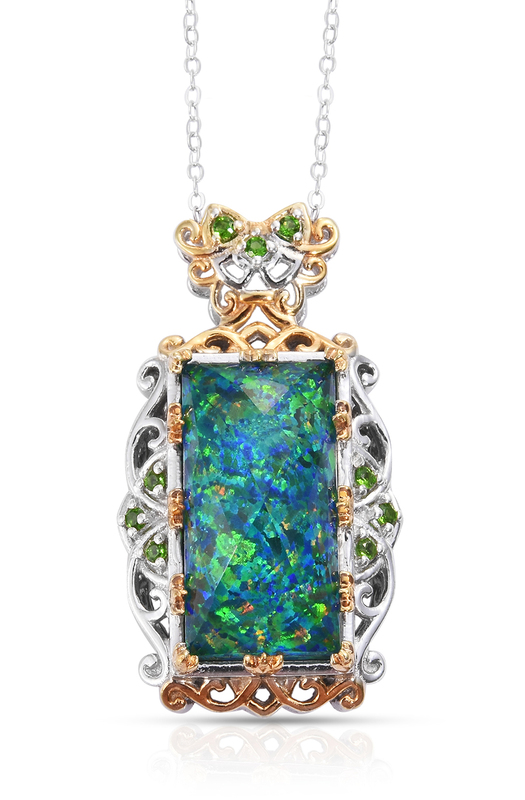 Those who appreciate opal’s special play-of-color are sure to become fans of this unique stone. Consider Black Ridge Quartz if you already love similar stones such as Sable Ethiopian Welo Opal, Australian Boulder Opal, or Mosaic Opal. Is Black Ridge Quartz a Birthstone? Combining genuine lab create opal with the protective qualities of transparent quartz, Black Ridge Quartz is not a modern October birthstone. For collectors of opal, however, the assembled gemstone is a great alternative to delicate opals – especially for jewelry pieces you expect to see daily wear. Consider Black Ridge Quartz as an option for a signature daily wear piece. 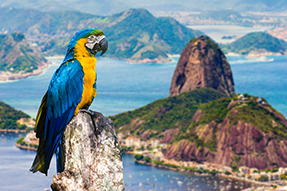 Meaning “General Mines” in Portuguese, the Minas Gerais state of Brazil is one of the most important locations in the world for raw gem and mineral materials. The location, famous for its icy clear rock crystal quartz, provides Shop LC with its supply used in the construction of assembled gemstones such as Black Ridge Quartz. How is Black Ridge Quartz Mined? MMajor mining operations throughout Minas Gerais utilize mechanization of traditional mining practices for extracting raw material from the ground. Heavy machinery and specialized equipment perform the brunt of work, from digging and transportation to sorting and washing gemstone rough. The eye-clean quartz rough undergoes careful selection for use in doublet stone construction. The material must be free of visible inclusions to the unaided eye. The best clear quartz then undergoes fusion with lab created synthetic opal to create Black Ridge Quartz. Once the bonding is complete, these newly minted stones are then shaped and polished into their final forms and then set into innovative and exciting jewelry. • Ranks seven on the Mohs scale of hardness. • Black Ridge Quartz possesses a black body color with an even play-of-color that rivals the finest opals. • Quartz sourced from Minas Gerais, Brazil. • Black Ridge Quartz is an assembled doublet gemstone, combining a synthetic opal center with layers of protective clear crystal quartz.